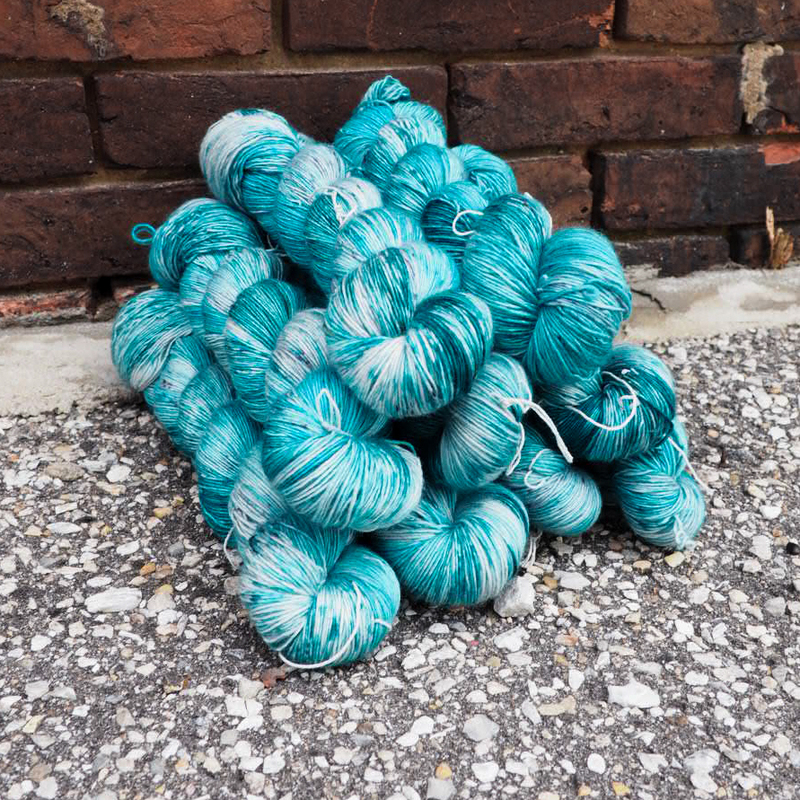 Color For A Cause - Sanctuary City – Neighborhood Fiber Co. This year, the whole world watched as U.S. Border Patrol Agents separated migrant children from their parents. Like many of you, I saw the video of children crying in cages, and I wept with them. Now, months later, as we’ve moved on to different crises and deplorable actions by the Trump administration, many of those families have not been reunited. As the new mother of a baby boy, I can’t help but think about how heart breaking it must be to lose your child. I cannot imagine what it would feel like to be separated from my child for weeks, months, or longer. I hope that I never find out. Instead of allowing my own outrage fatigue to paralyze me, I'm doing what I do best - selling yarn. When we decided that we would vend at Vogue Knitting Live in San Francisco, I knew that I wanted to create a special color to highlight the diversity and values of the Bay Area. That color is Sanctuary City. It has a grey base with speckles of turquoise, blue, and teal, reminiscent of clouds and fog forming over the water in the bay. The name is one that has become a flash point in recent years. A slur to some, “sanctuary city,” has also been a point of pride and admiration for those who would proudly offer refuge to the tired, the poor, the huddled masses yearning to be free. Our Sanctuary City colorway is a tribute to every person who recognizes that the American ideal is one of equality and justice; and that patriotism is not the same as nativism. All profits from the sale of Sanctuary City will be split between two organizations. Raices provides free and low-cost legal service to immigrant children, families, and refugees. The International Refugee Assistance Project(IRAP) mobilizes direct aid, litigation, and advocacy to work on behalf of refugees and displaced persons. The color is available for pre-order, and it will begin shipping when we return from The New York State Sheep and Wool Festival (Rhinebeck) on Monday, October 22nd. We are dyeing these to order and will do our best to keep up, but please allow for a few weeks of processing time. As much as it pains me to live in a world where I feel that I need to use my business to benefit those impacted by the current administration, I am eternally grateful for the ability to do so. It is because of your support that we can do this, and I thank you from the bottom of my heart. Bless you! Sanctuary City is a beautiful color.